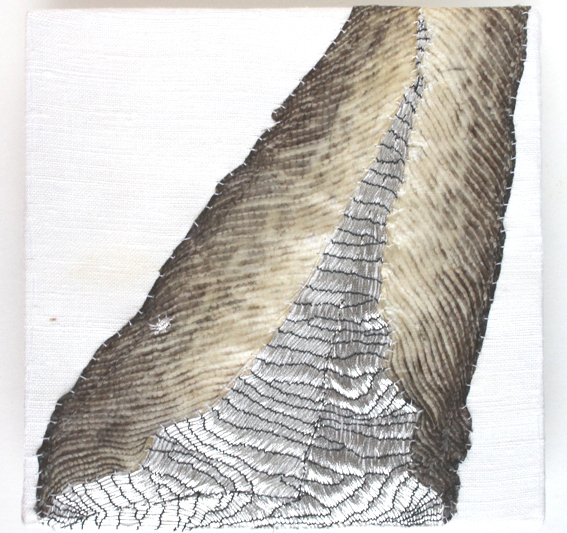 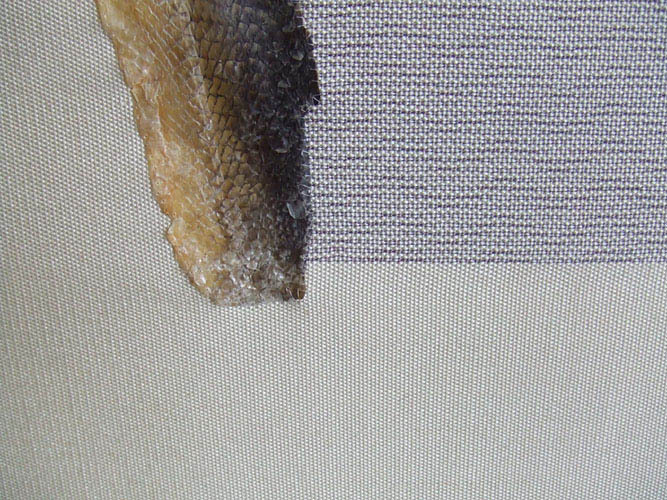 My interest in tanned fish skin is an interest in structure. 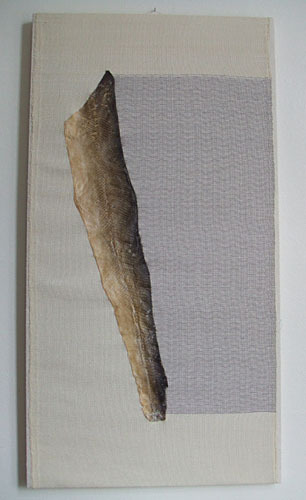 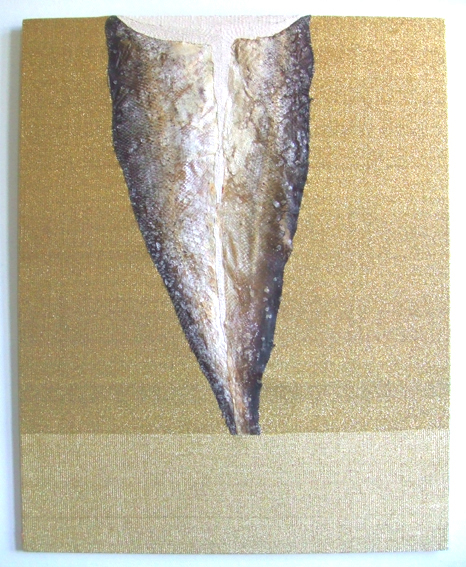 I choose to tan the fish skin in a way that retains the feeling of dry skin or parchment. 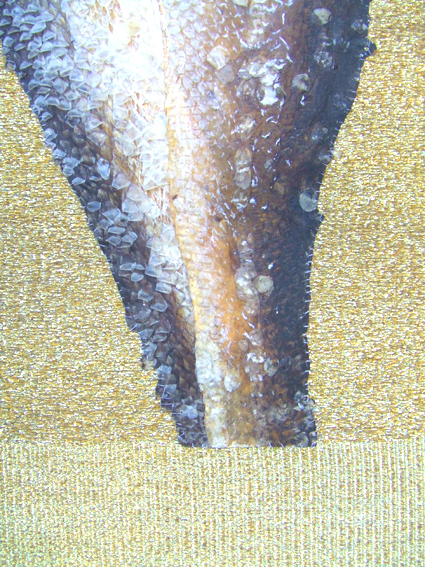 Most of the original colour of the fish skin normally fades away by tanning it. 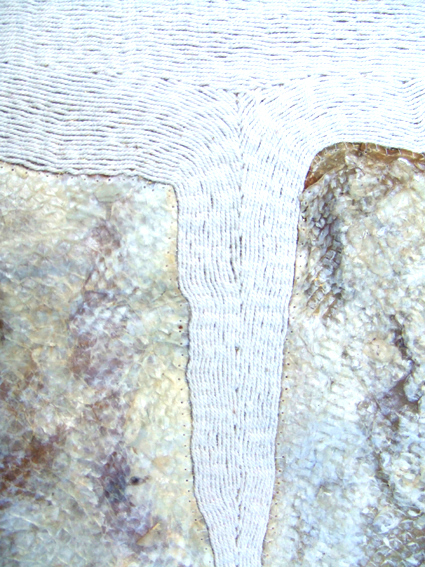 When I put those skin parts in a textile context I try to find a way to translate their structure into textile structures – sometimes by weaving them, sometimes by embroidering them or by other techniques.